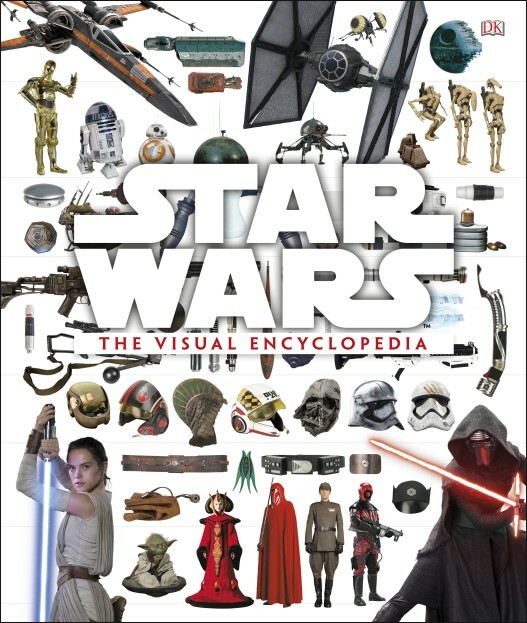 Star Wars: The Visual Encyclopedia by Tricia Barr, Adam Bray and Cole Horton raises the bar on Star Wars reference books by creating something new, fun and extremely useful. Click here to read our full review. Available in hardcover from any of your favorite retailers, you can check out the official product page for purchase links and preview pages. Blabba the Hutt: Episode 30 starts pre-Rogue One and without Kate as they talk in the pub before the movie, then it cuts to Jamie in the car on the ride home as he provides his reactions after having seen it twice. Spoiler free. Blast Points: Episode 53 is their pre-Rogue One episode as they talk Beezer Fortuna, Wheezer, 8 foot tall Snoke puppet, the Rogue One red carpet premiere, Crystal Skull, Rogue One plans, and they ponder how intelligent the wampa on Hoth was. Nice episode with no spoilers. Assembly of Geeks: Rogue One, Caped Crusaders & Knowing All Things Marvel includes Matt filling in for Jeff as they talk about Batman, the Rogue One trailer, the tone of the new Wonder Woman movie, Harry Potter news, DC and Marvel tv/film, and they have on guest Adam Bray to talk about his new Marvel book and his upcoming books including Stormtroopers: The Complete Guide. Good episode, lot of fun. Beyond the Vote: Episode 11 covers the debates, Riley states why he can’t vote for Trump, and Scott talks about his hurricane coverage. Assembly of Geeks: Mini-Force Friday and Meeting the Son of Zorn covers Force Friday and how it compared to last years plus they have on guest Johnny Pemberton of Son of Zorn. Assembly of Geeks: Reacting to Luke Cage and NYCC 2016 starts with their thoughts on the new Luke Cage show, they talk about the new animated Batman movie and the possibility of William Shatner playing Two Face, they talk about the Agent Carter and Constantine animated roles, the Power Rangers trailer and the Doctor Who spinoff trailer. Good episode. Beyond the Vote: A Long Expected Partition jumps back into politics as Riley and Scott catch up on what’s passed and talk about what’s to come. Enjoyable as always and I hope they put out a few more episodes before the election comes to an end. Blabba the Hutt: Episode 27 mentions their award nomination, they talk about the Darth Vader comic, the book Cinema Alchemist, the new TFA release, and for the main discussion, Kate talks about her trip to Ireland and Skellig Michael with some interview clips which are pretty interesting. Good episode with some nice insight on Ireland, beneficial if you’re thinking about going there. 501stCast: Episode 97 covers the latest 501st Legion troop reports, events, and even a little Rogue One trailer discussion. Assembly of Geeks: The Cursed Child Review & The Fall Movie Preview starts with the Harry Potter book The Cursed Child as they go over what it’s like, some of the differences, and they avoid spoilers. They give a farewell to Kenny Baker, touch on news like the Star Trek tv series, Wonder Woman and the Rogue One trailer. Then they wrap up with their thoughts on upcoming Fall movies. Good episode. Here is this week’s Podcasts in Review with quite a few Star Wars authors for your listening enjoyment. Bombad Radio: Episode 207 features an interview with Shannon Eric Denton as they talk comics, Airwolf and Star Wars. Eric has a pretty interesting story as he moved from being a comic artist, to an artist for animated shows, to being a writer. He’s a good guest and it’s a fun conversation. Worth checking out. Coffee With Kenobi: Episode 43 is their pre-Force Friday show with some discussion on their collecting trips for Disney Infinity 3.0 figures. Their guests for this episode are Mike and Joao from The Cantina Cast as they dive into some meaty topics like Yoda, Obi-Wan, the chosen one prophecy and more. It’s an interesting discussion episode and good for any general Star Wars fan.